Photo album Armadain Photos may show the location shooting photos with Geo-tagging. 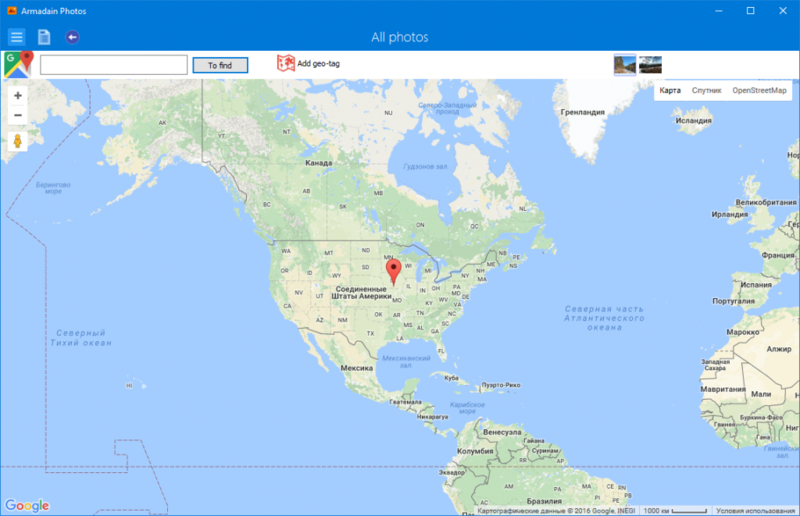 If your camera or smartphone supports Geo-location, then the shooting he adds geo-tags photos. You can also add your own geo tags. 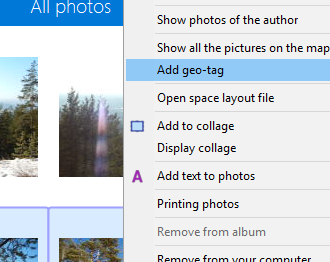 Select the photos, right-click and select “Add geo-tag”. Type in the search for the name of the place where the photos were taken. Click on the map to display the icon to specify location.